I have stayed in some really beautiful hotels this year. 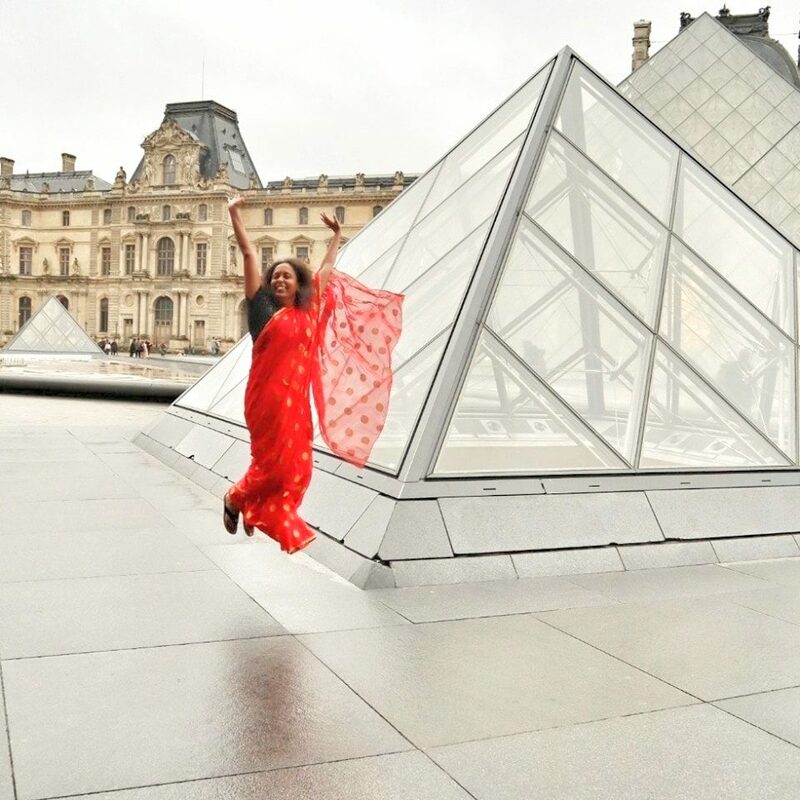 I should also add that the expensive and swank ones happened because of the sponsored trips. 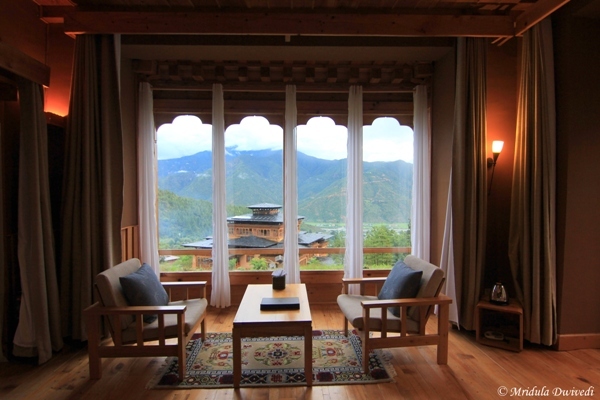 One such hotel was Naksel Boutique Hotel and Spa in Paro, Bhutan. 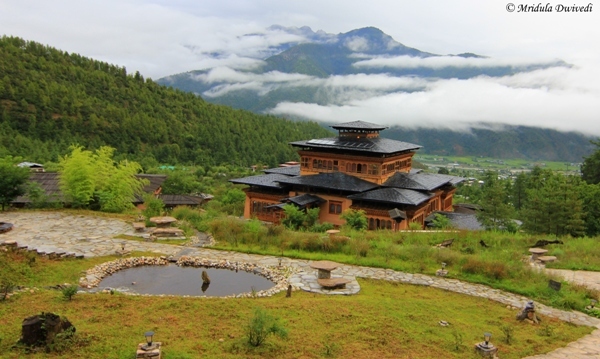 Paro is a tranquil place to begin with and Naksel is even further away from the small and beautiful city. So, it is doubly tranquil. This is the view of the main lobby from my room. I took it early in the morning. The mist had redrawn the mountains. I clicked the picture and went to sleep again in my comfortable room. I had this huge room all to myself. I would actually leave a small light on at night as the surroundings were so quiet. Other than the sitting area, it had a balcony too. The room had a decent supply of tea. It is a pity that I forgot to click a picture of the bathroom with its bath tub. The sitting area was my favorite place to sit down with a cup of tea. And then I had a balcony too! It was also the perfect spot to curl up with a book! The advantage of the sitting area over the balcony was the absence of the cold wind! 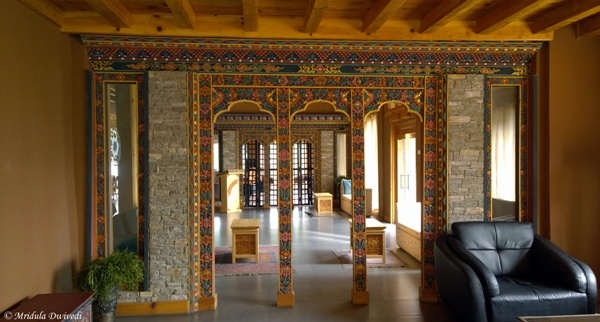 The lobby of the hotel is beautiful, done in the traditional Bhutanese style. All of us stood by the pillars to get a picture! Next to the lobby is an open balcony which offer a great view of the mountains. Dining hall is close to the lobby. The wifi connectivity was good at the lobby. However, I will remember Naksel most fondly for its spa. 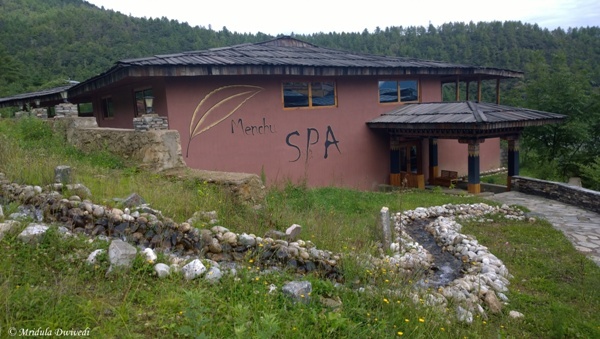 I used the spa after coming back from the Tiger’s Nest Hike. It was a very beautiful hike but tiring as well, at least for me. An hour of full body massage after the hike was sheer luxury and bliss. 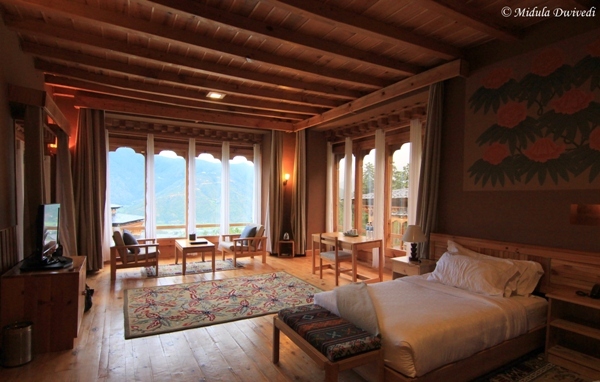 Overall, Naksel is a beautiful hotel more so for its absolutely peaceful surroundings. I stayed at Nakesl on my trip to Bhutam when I was invited by Makemytrip.